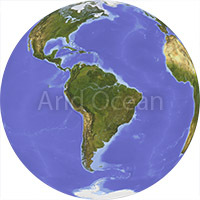 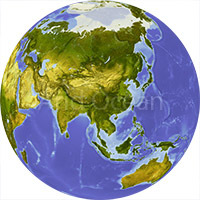 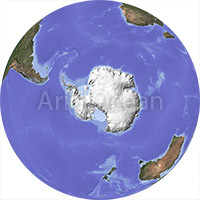 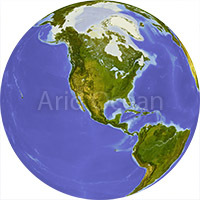 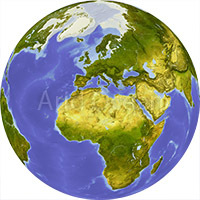 Globe, centered on the North Pole. 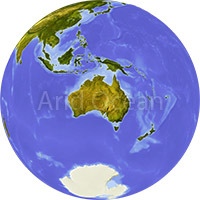 Shaded relief colored according to dominant vegetation. 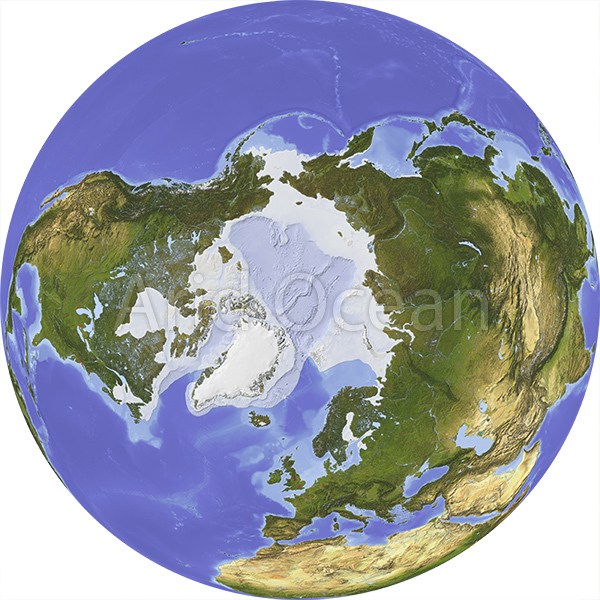 Shows polar and pack ice, large urban areas.